Apple's own App Store rules prohibit the use of push navigation for marketing. But as reported by 9to5Mac (via @bbchase), Apple has been using push notifications to market its own streaming music service Apple Music. 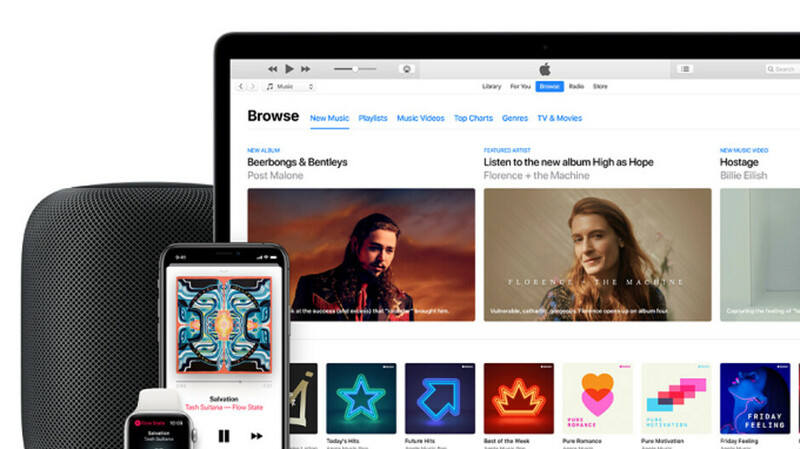 This started last week when Apple offered former Music subscribers another three month free trial. And now the company is using push notifications again to spread the word about a new Apple Music promotion. 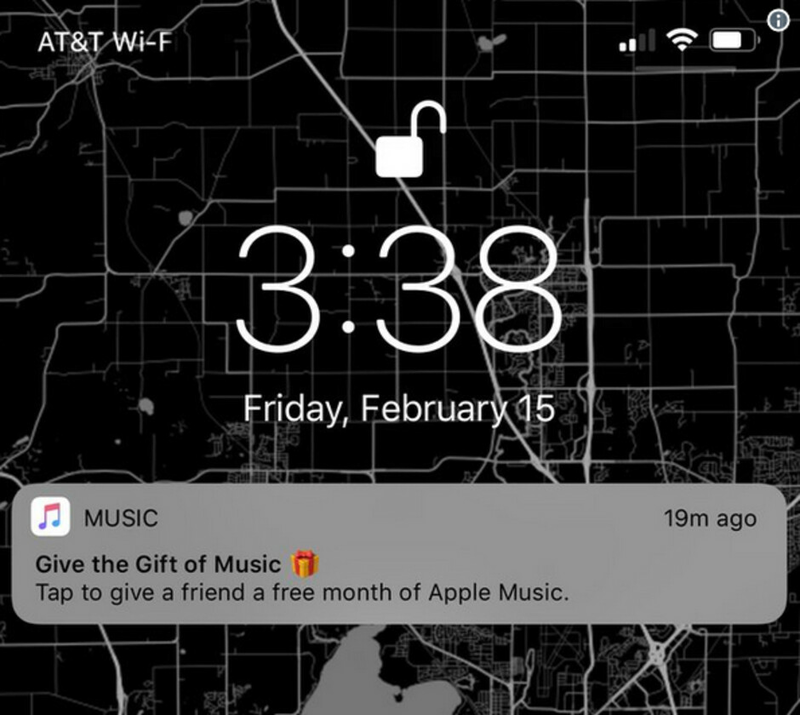 Apple Music subscribers can give a friend one free month of Apple Music. Tapping on the notification will take you to a site where you can send the referral to a friend who is not an Apple Music subscriber. If that friend has already used his three-month free trial, he/she will get one more free month. If your pal has not used the three-month freebie that Apple offers, he/she will get a four-month free trial instead. The promotion covers individual accounts only, and those who take Apple up on the offer need to be forewarned; once the free trial is up, the service will be automatically billed to a credit card that will have to be kept on file. Still, the service can be canceled anytime. If the Apple Music notifications are driving you bonkers or batty, they can be stopped. Go to Settings > Notifications > Scroll to Apple Music and toggle off "Allow Notifications." If they breach their own rules They are using it the right way. Apples spam ads have grown exponentially in the last few months initially jumping up with XR purchase ads. How do you turn those off? You can't. Its an iPhone. how do i get adblock for apple ads?